This unique three bedroom self-catering property is located on the east coast of the island of Muckle Roe, accessed by a bridge, three miles from the town of Brae. Enjoying a quiet location set off from the public road, the open aspect offers panoramic views over Busta Voe. The cottage benefits from underfloor heating throughout and a modern, stylish interior. A glazed entrance leads to the porch with coat hooks and wall mounted pew bench, both reused from the original chapel. The old vestry door leads into a utility area, with washing machine and separate dryer. Clothes pegs are provided for use with the rotary dryer outside. The porch opens into the living area with open plan kitchen, dining area and lounge. The high ceiling and large windows lend an open, spacious feel and give uninterrupted views of the sea and landscape. A sliding door opens out onto the decked platform running down the south east corner of the house and giving access to the garden. Kitchen | The fully fitted kitchen is equipped with induction hob, single oven, microwave combination oven, full height fridge/freezer and dishwasher. A full range of kitchen utensils and crockery are provided. 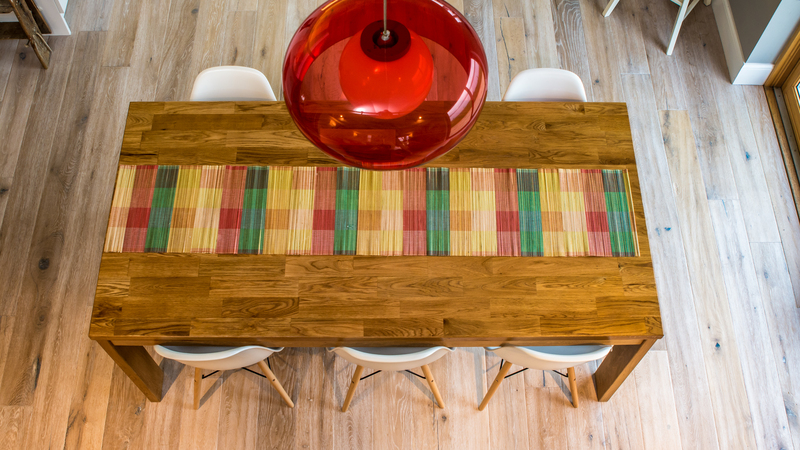 The dining table can seat six adults comfortably, and can be extended if required. A small children’s dining chair and a high chair are also available. Lounge | Adjacent is the lounge with wood burning stove and magnificent views from the full height windows. There is a wall mounted TV with Freeview and integrated DVD player. A selection of DVDs, books, games and children’s toys is available. Mezzanine | The mezzanine floor above the lounge has a Velux window with views to the west and is accessed by a fold-away ladder. The floor is carpeted and is furnished with bean bags. This is a favourite “hide-out” for children to relax and play out of sight of their parents! The living area opens into the old chapel which houses the three bedrooms, sleeping up to seven guests comfortably. Master & ensuite | Furnished with a King size bed, and offering plenty of storage with bedside chests, a chest of drawers and a large wardrobe. There is space for a full size cot which can be provided on request. A fully tiled ensuite shower room with mains shower, wash hand basin and toilet (and beautiful view) leads directly off the room. Bedroom One | This room is furnished with a double bed, bedside chests, chest of drawers and a wardrobe with hanging rail. Bedroom Two | This room is furnished with adult size double bunk bed and a further bespoke built-in bunk with safety rail, accessed by a removable ladder (this is higher than a standard top bunk and is suitable for an older child or adult). The bedroom has a tall boy and a wardrobe. Bathroom | The main bathroom has a full sized bath with mains shower over the bath and a glazed shower door. 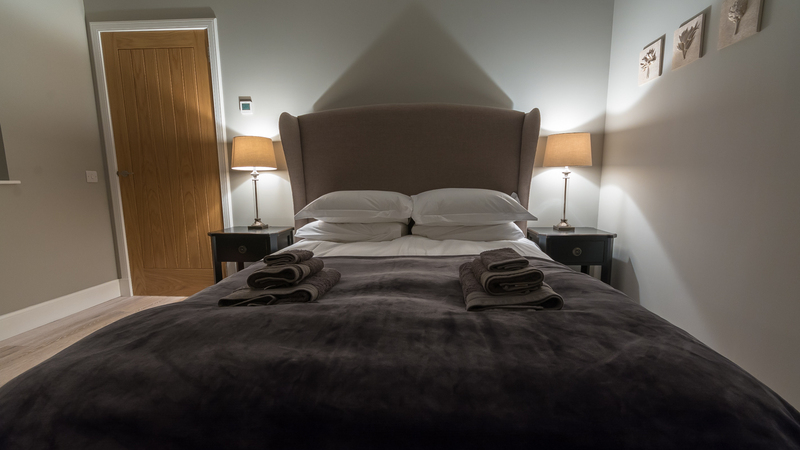 All 100% cotton bed linen and towels are provided, along with locally produced Shetland Soap Company soaps for your convenience.